Monty Bollock, facilities unit leader with the Type II command team, talks about the fire camp that serves as a small town for firefighters battling the 416 Fire. 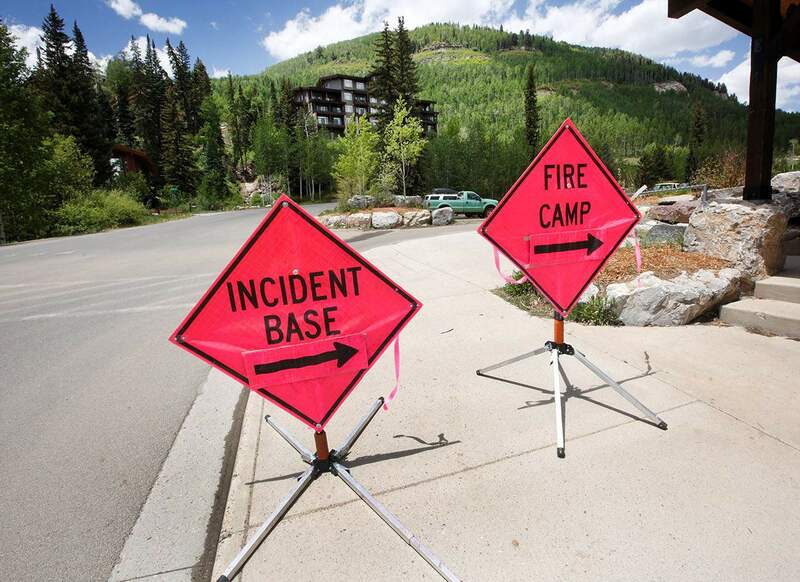 A Type II incident command team occupies two lower parking lots at Purgatory Resort. 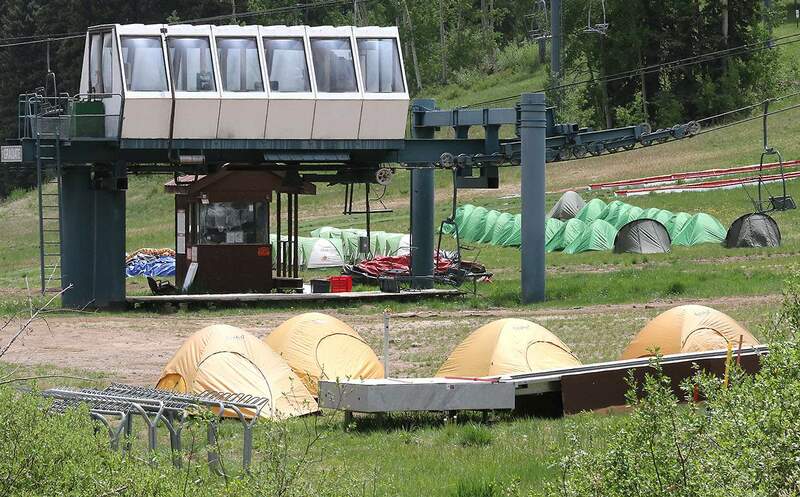 At the base of the bunny hill at Purgatory Resort sits dozens of small various-colored one-person tents. Across the way, in Purgatory’s lower parking lots, is another tent city full of large white yurts and trailers. These are not sites full of festivities. Instead, they are home – for now, at least – for the hundreds of firefighters and support staff fighting the 416 Fire. The larger camp makes up the federal firefighting command center, which includes showers, dining facilities, finance offices, public information offices, air operations, a printing shop and map-making trailer. This military-esque facility is the nerve center for firefighting operations. The method was developed in the 1960s during firefighting efforts in California. It serves as a centralized system to manage disasters such as terrorist attacks, hurricanes and wildfires, said fire spokesman Shawn Bawden. One of the lower parking lots at Purgatory Resort has been turning into a small town where the Type II incident command team is directing firefighting operations for the 416 Fire north of Durango. 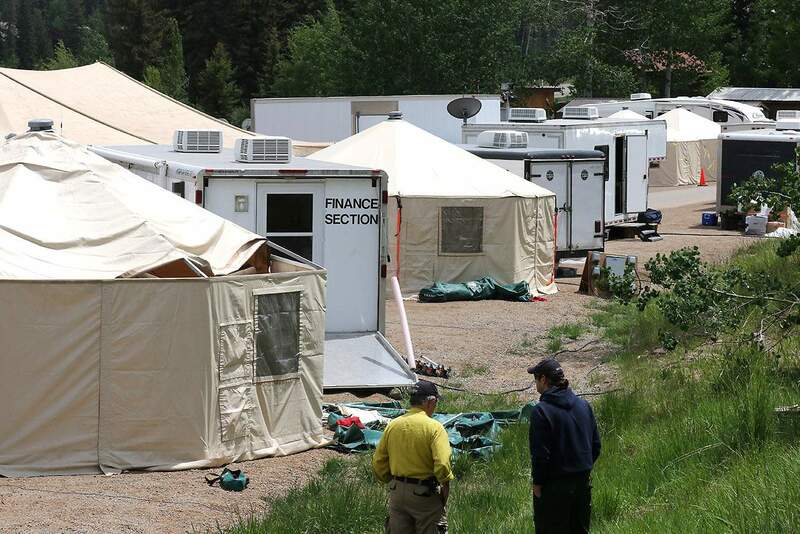 Based out of the tent city are nearly 400 firefighters under the command of the Rocky Mountain Blue Team, a Type II federal incident management team. The interagency management team can mobilize for any type of disaster and is one rung under the top-tier Type I team. Federal management teams like the Blue Team are called to duty once certain criteria have been considered, said Division Supervisor Deon Steinle. That includes factors such as size of fire, terrain of fire area, fire condition and proximity to homes. On Monday, Steinle was supervising what he called the Zulu zone along U.S. Highway 550. The primary objective was to keep the blaze from crossing the west side of the highway to the east side. Action along the Zulu zone was fairly relaxed, except for a section of woods burning near Goulding Creek. The smoke was so bad that it eventually closed the highway Monday afternoon. Firefighters with the Type II incident command team sleep in tents set up near the bunny hill area at Purgatory Resort. Wildfires command resources from across the country to rural locations like Durango. Many of Blue Team’s equipment is based in South Dakota, and Steinle works for the fire management branch of U.S. Fish and Wildlife in Kansas. A three-man crew working on the blaze near Goulding Creek came from Montrose. They were “charging the line,” a firefighting term for preparing a hose with the appropriate water pressure so the hose can be used. One of the Montrose firefighters, Tony Jakino, used to be a firefighter in Durango. He also came to the area to help fight the Lightner Creek Fire last year, he said. Fire departments can deploy firefighters to other parts of the country to assist, which is a good source of revenue for departments, Jakino said. 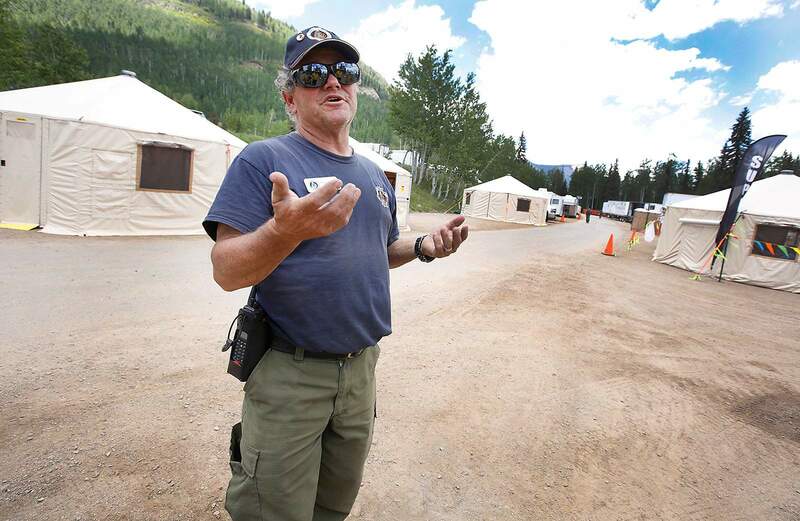 The command post at Purgatory is nicknamed “Main Street,” said Facilities Unit Leader Monty Bollock, who was one of the staff members in charge of setting up the camp Sunday. Bollock and a few crew members were in the process of sawing wooden planks to build a small platform with a back-board for firefighter briefings. The self-sustaining city will be in place in one form or the other, large or small, until the 416 Fire is extinguished.